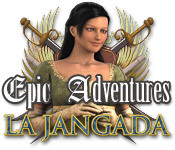 "Conquer the underworld in this epic role-playing adventure! Encounter fascinating characters, go on deadly missions and discover amazing treasures!" Avernum 5 is a huge, epic, fantasy role-playing game. Take a group of adventurers on a journey through an enormous underworld, full of fascinating characters, deadly missions, and amazing treasures and artifacts. Experience a fascinating storyline as you hunt down the rebel that tried to assassinate your empress. Bring him to justice...or, if you choose, join him! Huge And Epic Role-Playing Adventure! Over 50 Spells And Battle Disciplines! Hundreds Of Artifacts To Discover! Conquer the underworld in this epic RPG!